Dr Sethu Kumanan hails from the rural hamlet Kandaramanickam, Sivagangai District. He is the son of a very great and humane teacher Mr K R Sethu, who is a legend on his own. He graduated from Raja Duraisingam Memorial College affiliated to Madurai Kamaraj University and pursued higher studies in Annamalai University. He has a passion for teaching and he is a true educationist. He has received innumerable awards, which include: Soka University Highest Honorary Award by Soka University, Japan, Soka University degree of Doctor, Honoris Causa,The Honorary Degree of Doctor of Literature (Litt.D) issued by the World Academy of Arts & Culture issued at the XVII World Congress of Poets in Seoul, Korea, Soka Gakuen Award of Highest Honour by Soka Gakuen, Japan. of Education And Culture by Soka University Student & University Student Union, Michael Madhusudan Award – Best Honour for Noble Creation by Michael Madhusudan Academy, Calcutta, Rashtriya Rattan Award by Global Economic Council, New Delhi, Ramachandran-Ikeda Award by The Indian Council of Gandhian Studies, Thiruvananthapuram, Kerala in appreciation of the work and daring experiments in education – with a cash award of Rs. 50,000/-, Vallal Pandithurai Virudhu – Best Educationist Award by Murugalayam (Regd. )during the 23rd Anniversary in commemoration of 135th Anniversary of Vallal Pandithurai, the prestigious “Seva Rathna Award” by the World Friendship Council-Voluntary Social Service Organization, for his service to humanity through education and the Maxim Gorky Award presented by the Indo-Russian, International Arts & Science Association for Life Time contribution to Education. He is a passionate writer. Our former President Dr A.P.J. Abdulkalamji has appreciated him personally for his collection of poems written in Tamil. He has written many books including Malaysia Manimakudam, Idayathul Israel, Masakthi Ikeda, Mexicovil Tamil Kavidaigal and Petra – A travelogue of the trip to Jordan – A compilation of photographs. He has infinite talents in the film media and he had produced many short films like “Veeramangai Velunachiar”, a film on the brave historical women, “Ellaiyilla Paarvai” – Vision beyond boundaries. These films had the vision to create values in the younger generation. The short film titled “Kadavulai Kandaen “– Saw the Almighty – a real story of Sethu Bhaskara School student, “Bimbam” -to highlight the value of parents and the need to take care of them in their old age and the film titled “Kalviyin Kaimaru”-to inculcate the humane quality of compassion in the mind of every one are some of his exemplary works and masterpieces. Dr Sethu Kumanan holds the prestigious post of the Honorary Senate Member, Middle East University, Ras Al Khaimah, United Arab Emirates. He is the Editor & Publisher Iniya Ikeda ( An International Magazine) and the Managing Trustee, Village Community Hall – Sri Manickanachi Amman Marriage Hall, Kandramanickam, Sivagangai Dist. He has visited many countries and participated in the International Poets Conference. They are Turkey, Israel, Taiwan, Japan, Malaysia, Finland, Slovakia, S. Korea, Mexico, Greece, Romania, U.S.A, Switzerland, Australia, Mongolia and Hungary. He has visited more than 60 countries encompassing all the continents and far-flung areas like the Arctic and Antarctic regions of the world. Father is a teacher, Dr Sethu Kumanan had a strong desire to become a teacher himself. Working as a teacher in a private school did not quench his thirst. He aspired to achieve something significant in the field of education. With the moral and financial support of his maternal uncle and father-in-law Mr Sethu Bhaskaran, he started a school in 1988 under the banner “Sethu Bhaskara Matriculation Higher Secondary School” at Pudur, Ambattur, Chennai 600 053 with just eight students. The school has now grown up with the guidance and support of numerous well-wishers to the extent of producing state ranks. The school strength is now nearly 8000. The school imparts value-based education to children, who are mostly first generation school-goers. Hailing from an economically backward family, Dr Sethu Kumanan could appreciate how financial stringency could hinder the academic progress of an individual. Sethu Bhaskara MHS school offers concessions within its means and occasionally beyond, to the needy, so as not to deprive a child of knowledge just for want of money. In Sethu Bhaskara, apart from offering free education and fee concessions to the wards of our staff, the school tries to extend the facility to other students also – parentless, fatherless, financially backward and on medical grounds. Around 248 students enjoy free education. These students and the visually- challenged will come under the banner Dr Ikeda School Students. The meritorious students – proficient in academics as well as sports are given free education to encourage them and to motivate other students. Sethu Bhaskara School enjoys the pride of being the first English Medium School in India to launch Integrated Education for the visually-challenged children. The School Management willingly and happily bears the responsibility of providing free education, transport, uniform, etc to the twenty-two visually-challenged students who are covered by this scheme. The most striking part of this scheme is the mingling of these students with the students in the general stream, by which they attend classes along with the normal children in the regular classrooms. As these children are able to mingle with other students, they gain the confidence that they can cope up with the peers who have normal vision. Dr Sethu Kumanan strongly believes that it is not enough just to sympathise with the visually-challenged. Instead, we should see what best can be done for them. That is the reason why all efforts have been taken to initiate to help the visually-challenged enjoy their rights to live happily as others do, by giving them education, which is like eyes to every human being. Having struggled for fetching a job for himself and watching the plight of the village boys, Dr Sethu Kumanan started an Industrial Training Center in his native village Kandramanickam in the year 1997 “ Sethu Bhaskara I.T.C.” with an aim to make them capable bread-winners. The students are trained in different fields – Fitter, Wireman and Electrician. Around 300 students have successfully completed the course and are now comfortably placed locally and abroad. He has also started Sethu Irani Matric.Hr.Sec.School in the year 1998 to impart education to students in his native village. More than 500 students are studying. Taken up by the viewpoint of the great Japanese philosopher Dr.Daisaku Ikeda, an enthusiastic educationist and ardent follower of Gandhian principles, Dr Sethu Kumanan decided to follow his path. Dr.Ikeda, his mentor, fervently believes in educating the people of the rural area and in the empowerment of women. His adoration for this noble personality leads to the founding of a college exclusively for women, an institution to cater to the educational needs of the rural women in the name of the renowned educationist “ Soka Ikeda College of Arts and Science for Women, Chennai 600 099 in the year 2000. Rightly as the banner specifies, the college imparts value-based education. It is a matter of pride that our college has been identified as the “Institution of Excellence” by the National Advisory Committee of Indian Council of Gandhian Studies, New Delhi for the services in the field of women’s education and empowerment. Dr Sethu Kumanan’s dreams are thus coming true by the Grace of God and the good wishes of countless well-wishers. There are yet many dreams of his to take shape, in the words of Robert Frost. “And miles to go before I sleep And miles to go before I sleep”. His service in the field of Education is tremendous. Pudur and Madhanangkuppam have found their place in the Indian map of education on account of Dr.Sethu Kumanan. A school that started with just eight students in the year 1988 has grown up in such a short span of time to touch a student strength of 8000. How has this been possible, if not for his hard work. In today’s male-dominating society, where men wish to keep women under their control, here is a man who strives for women empowerment. Thanks to his noble vision, many girls of the rural area of Madhanangkuppam have become graduates and have been placed well in reputed organizations. A great personality as he is with so many awards and accolade to his credit, the best feature of his character is his humility. It is this humbleness that makes him all the more a great personality. A helping hand to the needy “hands that help are better than the lips that pray. Dr Sethu Kumanan is a benevolent giver who is ready to help the needy. He has helped so many financially backward students in their education. Sethu Bhaskara Matric. Higher Secondary School (Recognised by Govt. of Tamilnadu), Pudur, Ambattur. Dr. Ikeda Karunayagam, Anna Nagar West, Chennai. Sethu Bhaskara Technical Institute, (Recognised by Govt. of India and Govt. of Tamil Nadu)Kandramanickam, Sivaganga Dist. Soka Ikeda College of Arts &Science for Women (Affiliated to Madras University), Madhanangkuppam, Chennai 600 099. Sethu Irani Matriculation School, Kandramanickam. 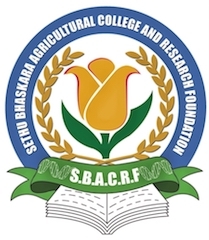 Sethu Bhasakara Agricultural College and Research Foundation, Visalayankottai, Karaikudi. -- Corporate Restructuring and Strategy Planning Expert, American International Medical University, Saint Lucia, West Indies. Dr R. Jagannathan did his B.Sc., Physics during 1968 – 1971 and M.Sc., Physics during 1971 – 1973 at National College, Trichy, Tamilnadu, India. Then he did his Ph.D., with University of Madras in solid state physics. He relished teaching Physics for more than 34 years under the University of Madras. He has a degree in General law too. He is also a Bureau Veritas certified ISO 9001-2015 lead auditor. His lectures at USA, Qatar, Bahrain, Singapore, Italy, United Arab Emirates, South Africa, West Indies and other countries established him as a seasoned teacher and an administrator par excellent. His visit to Italy as a visiting scientist under the aegis of International Atomic Energy Agency and under the scheme of United Nations Charter, to the International Centre for Theoretical Physics(ICTP), at Trieste, Italy, provided him an opportunity to get motivated by two Nobel Laureates in Physics, Prof. Abdus Salam and Prof. Carlo Rubbia. He is the Asian Adaptor of the International Edition CLASSICAL MECHANICS by Herbert Goldstein, Charles P. Poole, John L. Safko, 3rd Edition, Pearson Education, USA, the Asian Adaptor of the International Edition Sears, Zemansky’s “UNIVERSITY PHYSICS” by Hugh.D.Young & Roger Freedman, 12th, 13th Editions, Pearson Education, USA and the Indian Reviewer of the Asian Edition “OPTICS” by Eugene Hecht, 4th Edition, Pearson Education, USA. His areas of interests include Monte Carlo simulations, speech and image signal processing, structures and complexities of the Universe and mathematical modelling & validations. He got a research grant of INR 0.53 million from the University Grants Commission of India, for his work on the design of control systems at microwave frequencies. He is a veteran Professor, a good researcher and generous philanthropist, who educates 3 school children every year, for the past 35 years. He is an enviable and pleasant personality with good wisdom. He has literally conquered the World by his business acumen. He travelled to the Middle East at the age of 19, joined his Elder Brother Mr Basheer Ahmed to look for a prospective future, struggled to find a Good Job at that time and then Joined a Flower Shop as a salesperson. A new horizon dawned when he formed a flower shop at Ajman in the name of Sun Flora Trading. His younger brother Mr Sadiq Batcha joined him in the business. With his experience, he moved to Sharjah to lay the foundation for Black Tulip Flower in the year 1993. In 2000 – Formed a company at Malaysia in the name of Garden Flora Exports Sdn Bhd, in 2002 – formed a Company at Kenya in the name of Garden Flora Exports Ltd. He formed successively and successfully the companies in many countries – In 2003 Blue Sky ( K ) Ltd at Naivasha, Kenya, In 2004 Iris Biotech Ltd – Bangalore – India, In 2007 Black Petals Ltd – Kenya, Laurel Investments Ltd – Kenya, Gem Flora ( Kenya ) Ltd – Kenya, Golden Tulip Farm Ltd – Kenya, Utee Estate Ltd – Kenya, Partnering in to Mau Flora Ltd Kenya, Belflora International Pty Ltd , Sydney – Australia, Black Tulips USA LLC , Florida – USA, Weng Hoa Flower Boutique Sdn Bhd , Kuala- Lumpur – Malaysia, Black Tulip Co Ltd , Bangkok – Thailand, Black Tulip International LLC , Muscat- Oman. In India, he has a spectrum of activities in the areas of Real Estate, Tourism, Transportation and Petroleum products distribution. He is a great philanthropist. He loves social assistance. His notable contributions include A Building been constructed and donated at Thiruvaiyaru to the school where he studied & managed by Hindus, Extended Financial support to renovate a Church at Thanjavur District, Constructed and Donated a Grand Mosque at the birthplace in the remembrance of his father. Madam Mrs Irani Sethu is the affectionate wife of Pulavar Mr K R. Sethu. She is a living legend in Kandramanickam, near Sivaganga, Tamilnadu. The proud mother of Dr Sethukumanan, the Chairman of this agricultural college and research foundation is a source of inspiration. She leads a righteous family, imbibing values like affection, culture, humanism, integrity and honesty in her children and moulding them to be above all castes and religions. She wanted Dr Sethukumanan to be a teacher evolving into an educationist. Her son had rightly evolved so. True to her blessings, he is now the upright Chairman of a group of prestigious educational institutions in Chennai, Kandramanickam and the agricultural college and research foundation near Karaikudi. Dr Sethukumanan visited far-flung areas like the Arctic and Antarctic regions and about 60 other countries spanning all the continents of the world. He has a very rich experience of how humans live across the world. Madam Mrs Sethu Irani has her own brother Mr Sethubhaskaran’s daughter Ms Kokilam, as her daughter-in-law; the proud wife of Dr Sethu Kumanan. Her another son Mr Sethu Vivekanandan, an Engineering graduate, now in Sharjah, is another seasoned educationist taking care of this agricultural college and research foundation as a Member of its Management Committee. She has the rare ability to cultivate every year, sufficient quantity of paddy in her own fields to cater to the needs of her family as well as to offer liberally to the needy. Hailing from an agriculturist family and realizing the need to safeguard Agriculture, which is the backbone of India, she motivated her son to establish this agricultural college and research foundation. Dr Sethukumanan is the proud son, satisfying the visions and missions of his affectionate mother. -- Department of Family, Youth & Community Sciences, College of Agricultural & Life Sciences, University of Florida, USA. Dr. Muthusami Kumaran is the Assistant Professor of Nonprofit Management & Community Organizations, Department of Family, Youth & Community Sciences, College of Agricultural & Life Sciences, University of Florida, USA. He was born and raised in Rajapalayam. He received a Ph.D. in Urban and Public Affairs from the University of Louisville, Kentucky, USA, and a Ph.D. in Public Administration from the University of Madras, where he also earned his two Master’s degrees and a Bachelor’s of Science. Before his academic career, he worked as the Director of Research at a nonprofit organization in Washington, DC., and then as an official of the State Government of Kentucky, USA. He has assisted in the organizational capacity building of numerous NGOs in several countries across the world. He has conducted research about NGO sectors in various countries and published extensively. Dr. Kumaran has been awarded numerous honors including 2015 University of Florida Institute of Food & Agricultural Sciences International Achievement Award, 2015 University of Florida Junior Faculty International Educator of the Year Award, and the 2015 North American Colleges & Teachers of Agriculture (NACTA) Educator Award. In addition to serving as a Trustee of Sethu Valliammal Educational Trust, he also serves as the Director of the Board of three major nonprofits in the USA and an International NGO that promotes agriculture in developing nations. He is a member of the Global Environmental Advisory Committee, based in Jeju Island, South Korea. He was born at the village of Kandaramanickam, Thirupathur taluk and Sivangangai district. He obtained his Bachelor of Engineering degree in mechanical engineering from Annamalai University, Chidambaram. He started his career, in 1981, as a Turner (Operator) in Lathe Machine in Iyyapan Industries, Chennai, which lead him to start his own business, in the name of Vivek Engineering Construction at Neyveli, Tamilnadu, (NLC Registered contractor). Construction & Maintenance works in TPS-I & II, Fertilizer Plant and Township Administration. He had extensive work experience at senior levels, when he worked for 9 Years working in Texmaco Group at Karawang (West Jawa) & Semarang (Central Jawa) Indonesia, as Production Manager. Manufacturing of Textile Machineries. In 2003 Moved to United Arab Emirates, working with IHI (Japanese Firm) & Khansaheb Civil Engineering, as Project Manager. In 2011 Joined in Black Tulip Group, as a General Manager. With enormous support from the Managing Director Mr. Mohamed Gani Mohamed Ehiya, he started a Structural and Architectural Division under the name of “Black Tulip Metal Bldg. Const. Ind” and in the year 2013, the status of the company has been changed to an ‘LLC’ (“Black Tulip Metal Bldg. Const. Ind LLC”) and he is now its “Managing Director”. Mr Shanmugam Rajamanickam is an entrepreneur who creates entrepreneurs. He hails from the village Kandramanickam, near Karaikudi. He is an alumnus of the PSG College of Engineering. He is the Founder Partner of two premier manufacturing firms, M/S Redema and M/S Plant Engineering Services at Ambattur and Sriperumbudur. M/S Redema is in the field of manufacturing Special Purpose Machines, known for innovative products. M/S Plant Engineering Services is a high precision components manufacturing company. His outfits are known for robust innovation and user-friendly world-class products, that commands a clientele across India, Europe and North America. Importantly his benevolent desire to share knowledge and experience has motivated many an employee into successful entrepreneurs themselves. The Rotary movement is another abiding passion of Rajamanickam. A Charter member and a Past President of the Rotary Club of Aarch City has been constantly striving for the betterment of the community around. AMARENDIRAN was born as the son of a farmer in a small village Avularangaiapalli in Vellore district. He did his graduation in Chennai and his B.Ed at Vellore. He is an M.B.A from the University of Madras and is now pursuing his Masters in Psychology in the University of Madras. He is a veteran teacher with 3 decades of experience. He was awarded the best teacher award in 1999 by Rotary club of Annanagar and Nannadathai Nayagan award in 2013. Rotary International bestowed on him again the best teacher award in 2014. He is also is the recipient of the Samuthaya Sirpi award in January 2016. His service to humankind in the field of education is exceptionally supreme.